Vaikasi Visagam, or Vaigasi Visakam, is the day when Lord Muruga or Kartikeya, incarnated on earth. Muruga, the general of the army of devas, is also known as Skanda, Kanda, Subrahmanya and Kartik. 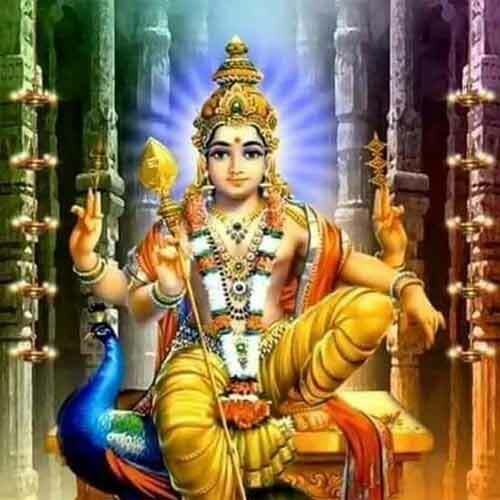 In 2019, the date of Vaikasi Visagam is May 18 and is an auspicious day in Tamil Hindu calendar. The birthday of Lord Muruga falls on the Vishakam star in the Tamil month of Vaikasi (May – June). The day is celebrated in temples dedicated to Muruga in India, Malaysia, Singapore, Sri Lanka and South Africa. According to Puranas, Devas (gods) were driven out of heaven by demon Surapadman with the help of boons he received from Brahma. Unable to defeat Surapadman, Indra, the king of devas, sought the help of Brahma. But Brahma could only narrate his helplessness as Surapadman had already obtained boons from Brahma through severe penance. But Brahma did suggest a way out and that was to seek the help of Lord Shiva. When Indra narrated the cruel deeds of Surapadman, an enraged Shiva opened his third eye and the fiery sparks that came out which transformed into six babies. Later Goddess Parvati joined the six babies into one and thus Lord Muruga incarnated with the purpose of vanquishing the demons. On the day, devotees take out procession carrying milk pots to Subrahmania temples. The milk is used for the ‘abhishekam’ of the deity. Some devotees also take kavadi on the day. Thousands of devotees visit Lord Muruga shrine on Vaikasi Visakam, especially at Lord Subramaniaswamy Temple at Tiruchendur and Muruga Temple at Tirupparankundram. Tirupparankundram Temple is dedicated to Subrahmanya Swami and the annual Vaikasi Visakam festival is a major event in this temple located near Madurai in Tamil Nadu. More than 50,000 people participate in this annual event. Devotees carry pots of milk and perform abhishekam on the murti of Shanmuganathar, Goddess Valli and Goddess Devayani at the Visaka Mandapam in the temple complex. Special abhishegams are performed on Subramanya Swami inside the temple too. The ten day festival which commences nine days before the Vaikasi Visakam date attracts more than 100,000 devotees. Vaikasi Visakam is the day when Muruga or Subramanya Swami the eldest son of Shiva made his appearance on earth.